I love fabric from Riley Blake, I can usually find something SUPER cute from them, and their collections are GREAT. 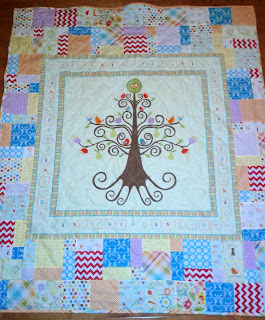 Well one day while I was perusing a fabric store I pulled out a panel with a fabulous tree on it (I really love trees, see this post if you need more proof). I had never used a panel before because it kind of felt like cheating. Then I saw that all along this panel were the Young Women values! Oh my goodness the cuteness was just out of control. I couldn't pass it up. This quilt was SO fast. I've actually made 3 already and I have fabric to make 2 more (ya that's how cute it is!). 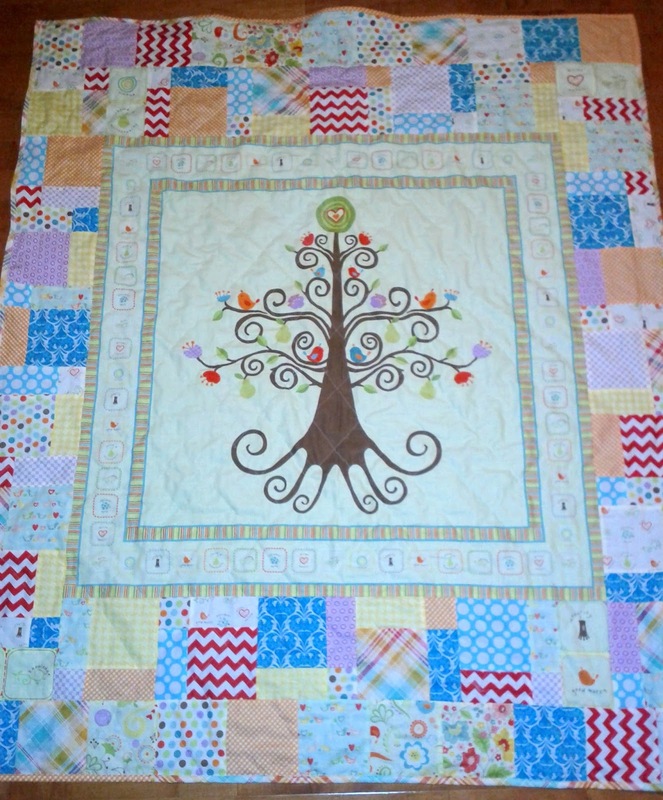 The tree panel was NOT an even measurement so I decided to use a disappearing 9 patch so I wouldn't have to stress out about all the little 7/8 inches and such, I love this tutorial here 9 PATCH TUTORIAL.I loved choosing all the different colors and fabrics to go with this quilt. There were so many bright fun colors. Not all of these fabrics are from Riley Blake, I did venture out into other lines! I grabbed some minky for the back to make it super soft, and voila, Values quilt! If you're looking for this collection it is called, "The Good Life". I've bought it at 3 separate fabric stores, and if I saw it again, I think I would grab a few more panels. It's such a great gift for any of our soon to be or current Young Women! 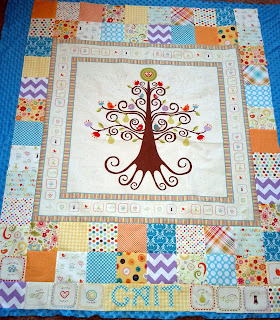 I've done 2 different versions of this quilt. The 9 patch and a regular 5 inch square. I also got tricky and added my nieces name to her quilt. I love the panel! I would love to do one for our Young Women's room, or offer it to them as part of their Personal Progress - But I can't find the panel. :( I checked the Riley Blake website and it isn't there. I know it has been 5 years, but if you happen to know of someplace to find it or something else with the values, I would appreciate the info. Thanks.